Cyclerati from all over New England and beyond turned out in droves last weekend to attend this year’s New England Builders Ball, where many of the region’s top artisan framebuilders and accessory makers exhibited their stunning creations, resulting in wall-to-wall road, mountain, fat, cruiser and gravel bikes, as well as numerous styles of handmade bike bags and gear. Here are just a few highlights from the event. 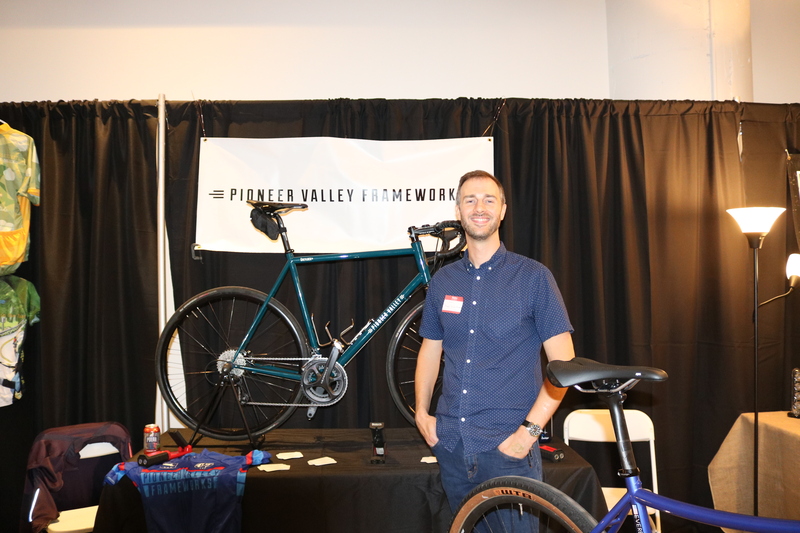 Pioneer Valley Frameworks’ founder Niall Gengler showed-off some of his latest undertakings, which included this boldly designed adventure bike, complete with a uniquely shaped concave toptube for improved stand-over height, along with Cannondale’s groovy Lefty suspension fork. Niall mentioned that he recently developed a new technique that allowed him to free-form the toptube from a single piece of steel tubing, which otherwise would have involved the impossible task of mitering and welding different pieces together in order to create the same effect. Actually, we think he’s got some sort of a magic wand at his workshop in East Hampton, Massachusetts that enables him to do this, because the workmanship is nothing short of magical. Brian Chapman of Chapman Cycles in Cranston, Rhode Island was on-hand to show-off some of his latest bikes such as this glorious randonneur style bike, which featured one of the most beautiful shades of green and intricate metal working that I’ve ever seen. Needless to say, Brian’s bikes have always struck me as being the equivalent of the Fabergé eggs of the bespoke bike world. 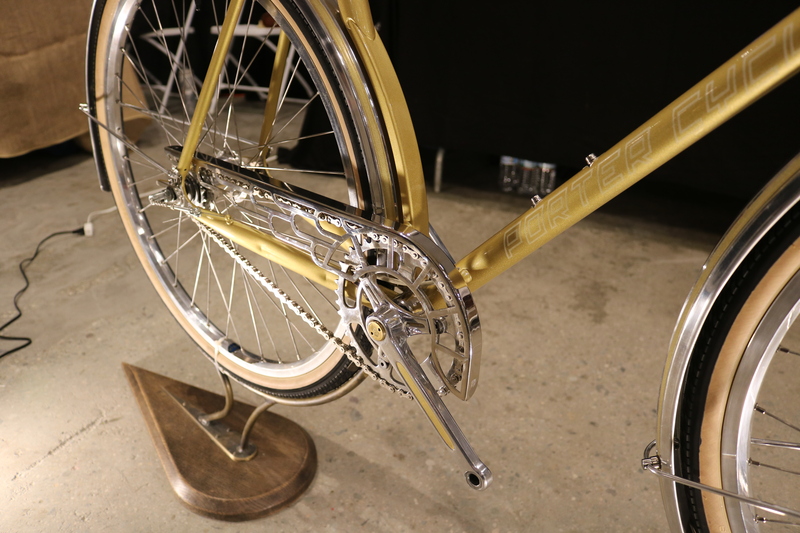 But, unlike an Objet d’art, they’re meant to be ridden and not merely to be placed on display. Similarly, Tom Porter’s bikes are rolling works of art also, displaying a level of bright work and filigree that borders the Baroque. However, opulence notwithstanding, Porter’s bikes are meant to be ridden as well and not simply kept on the shelf either. 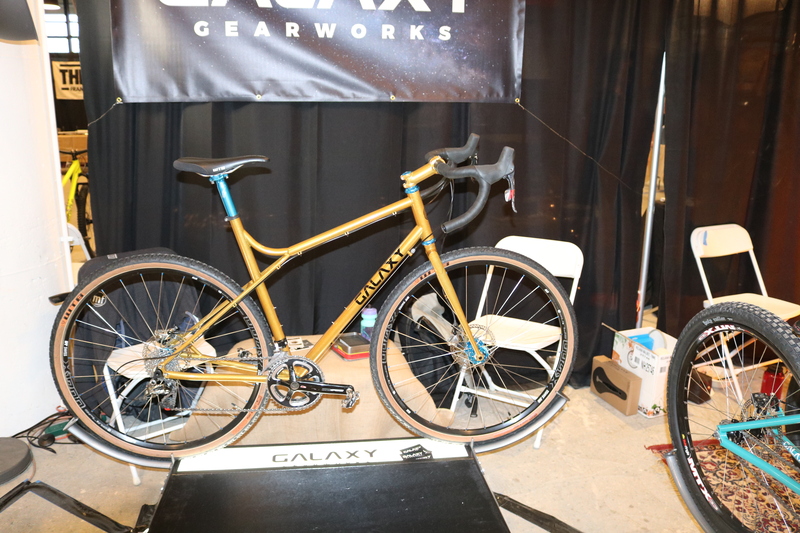 Newcomers Ryan Johnson and his sidekick Chris McCown of Galaxy Gear Works in Vermont showed that a dude from Arkansas knows how to handle a torch as well as his daddy’s shotgun, as evidenced by the crisp welds on his outlandish gravel and funky pump track bikes. 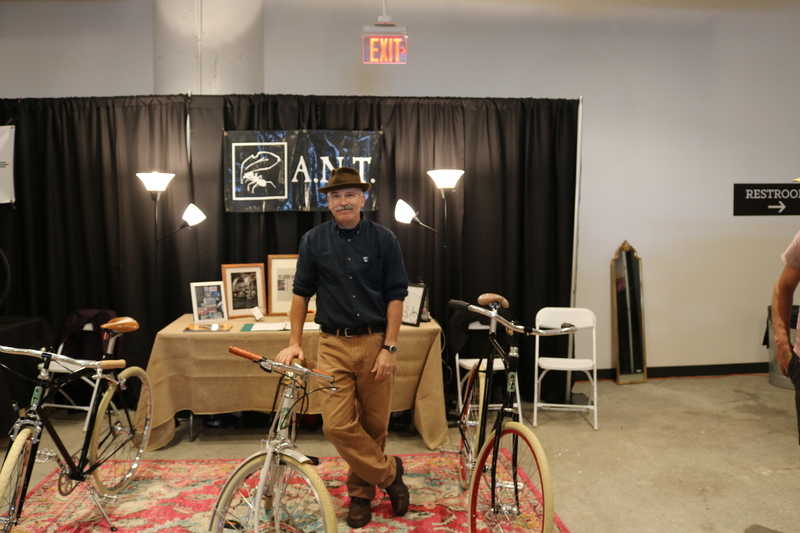 Before cargo and utility bikes punctuated city sidewalks and streets, A.N.T.’s (Alternative Needs Transportation) Mike Flanagan had the prescience to design handcrafted bikes that brought mobility to the urban landscape courtesy of two wheels. 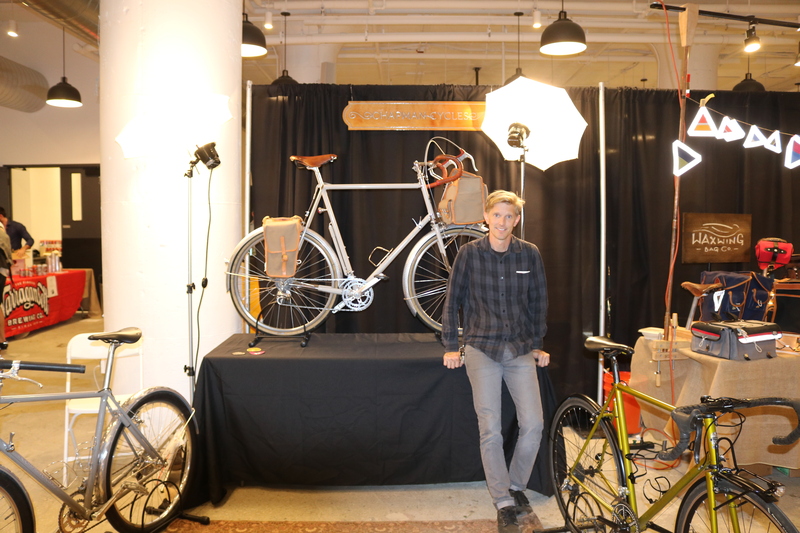 Indeed, Mike was developing cargo style bikes and two-wheel haulers long before city planners and transportation officials realized the need for cleaner, more efficient forms of transportation in order to create the “greenways” of the future. 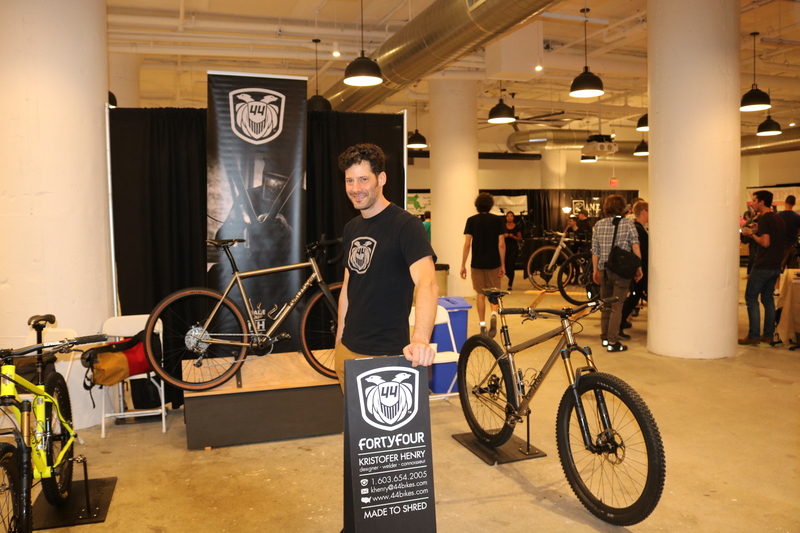 Kris Henry of FortyFour bikes in Lyndeborough, NH graced the show again this year, bringing with him a stable of steel and titanium bikes that were enough for one to contemplate an act of robbery and beg for forgiveness later. 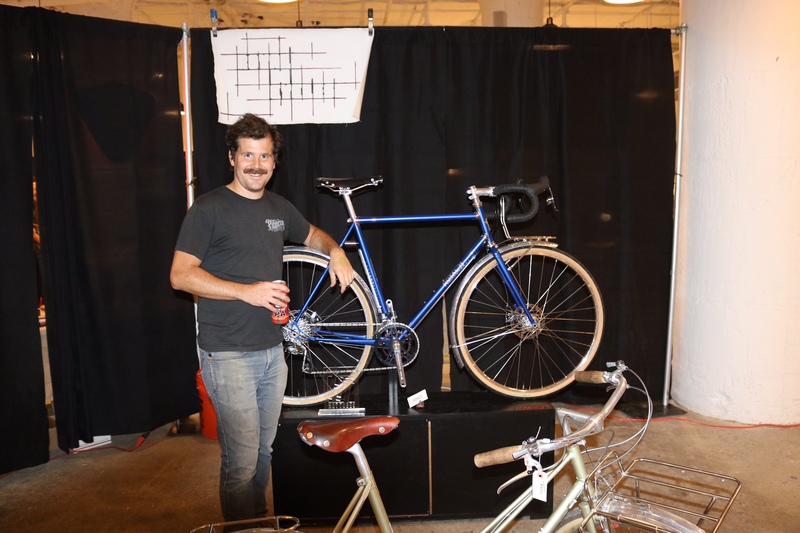 Kris specializes in all styles of bikes, but his skills really shine when it comes to trading the tarmac for the terrain less-travelled with some of the most well designed and executed gravel and mountain bikes one could hope to cross paths with. 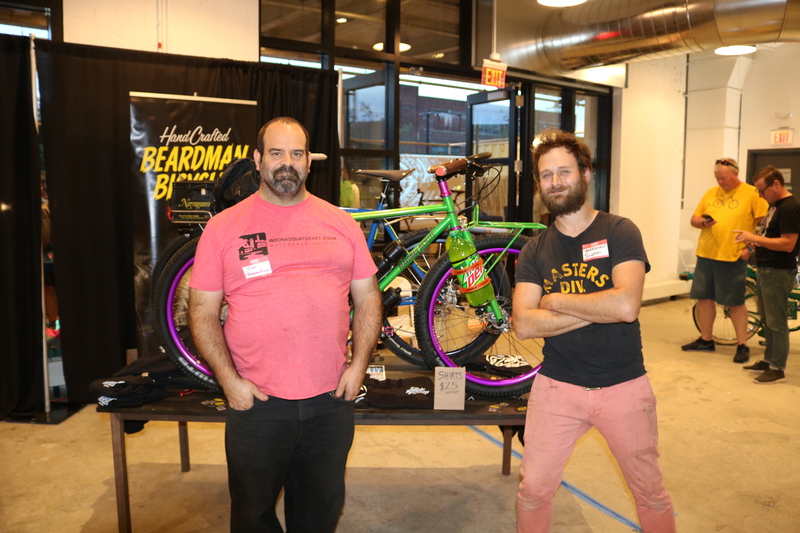 The boys from Beardman Bicycles were back again this year as well, sporting their signature beards and displaying their usual array of groovy cruiser style and single-speed bikes. Oh, by the way, the Mountain Dew strapped to the bike in the background was no faux pas, as Scott and Tom both know that the sparkling green concoction of sugar and carbonation packs more calories and caffeine than 10 of the leading sports drinks combined. 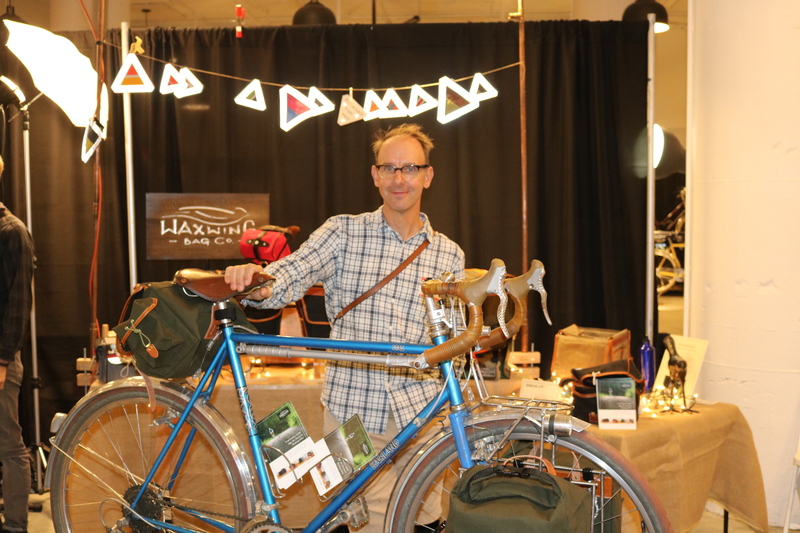 Another newcomer to this year’s show was Matt Manuel, who came by way of Nova Scotia. 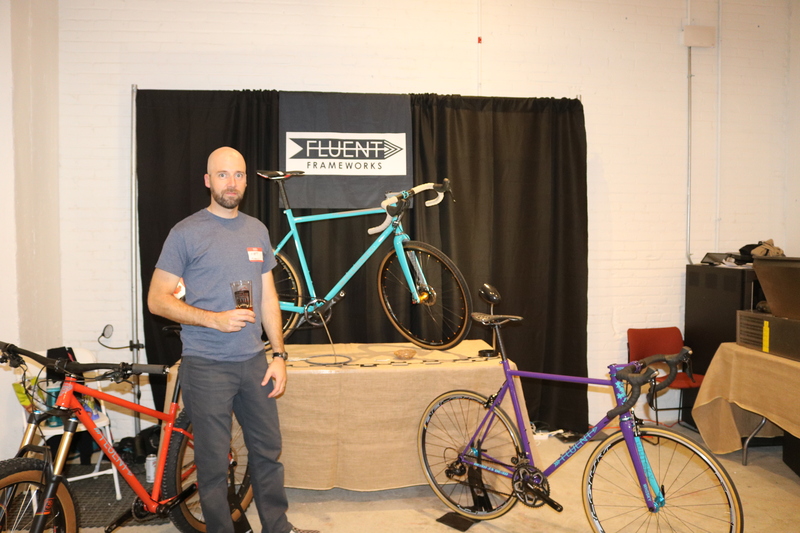 Fluent is the name of his new bikes, and judging by the impeccable fillet blazing and paint work, Matt assures us that he’s extremely fluent in all aspects of artisan framebuidling. By his own admission, Matt says he sometimes struggles with OCD (obsessive compulsive disorder) when it comes to putting the final touches on his bikes. I say forgo any treatment, as the end result is nothing short of exquisite! It was nice to see the return of Max Pratt, the young fledgeling frambuilder and Rhode School of Design student who dazzled us last year with some beautifully fillet-blazed frames including one with a bold integrated seatpost. 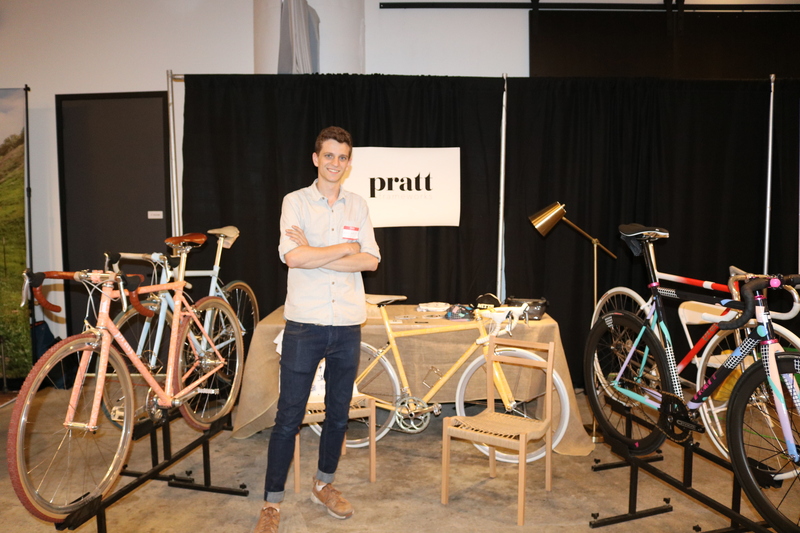 Since then, Max has gone on to found Pratt Frameworks in Providence, specializing in road and cyclocross models with a strong emphasis on fixed-gear bikes for track and criterium racing. 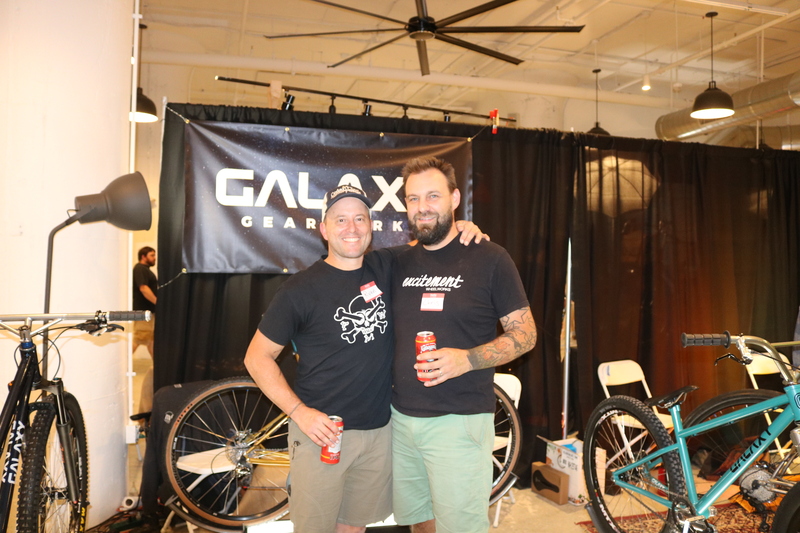 In fact, Max hinted that he was currently trying to organize a criterium race in his area much in the spirit of the Red Hook Crit series. Sounds like there’s another story in the making here? Doug Breismeister needs no introduction to those adept in the artisan framebuilding world. 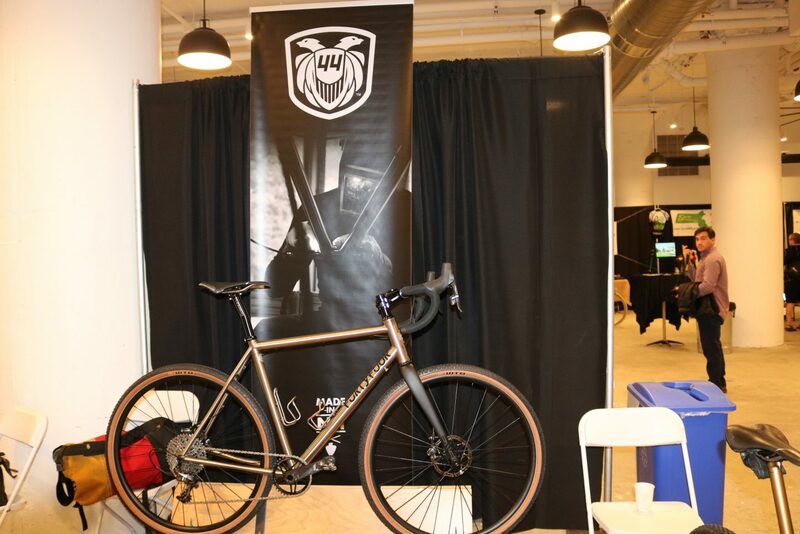 In just a short-time, the bikes that bear his name have drawn the attention of bike aficionados and judges everywhere they’ve been on display, culminating into an award at this year’s North American Handmade Bicycle Show for the Best Gravel Bike. 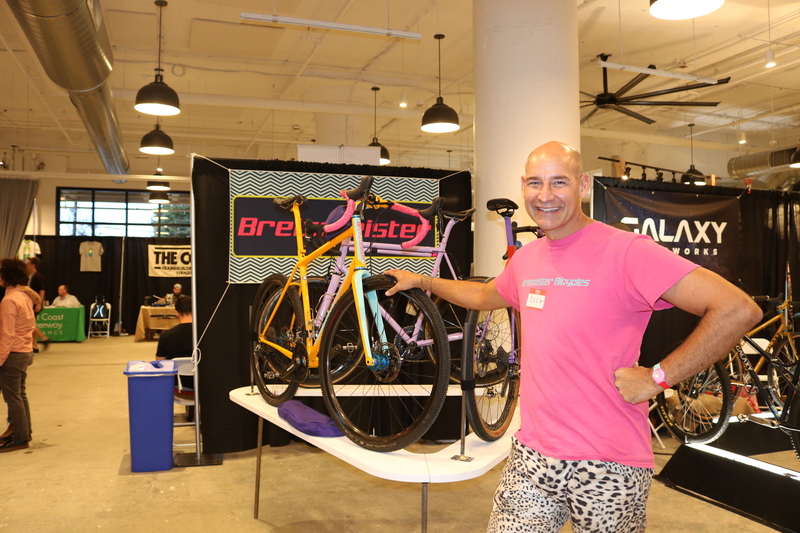 It’s difficult to decide what’s most impressive about Doug’s bikes, the level of craftsmanship that each bike exudes, or the bold use of color that one might almost consider daring. 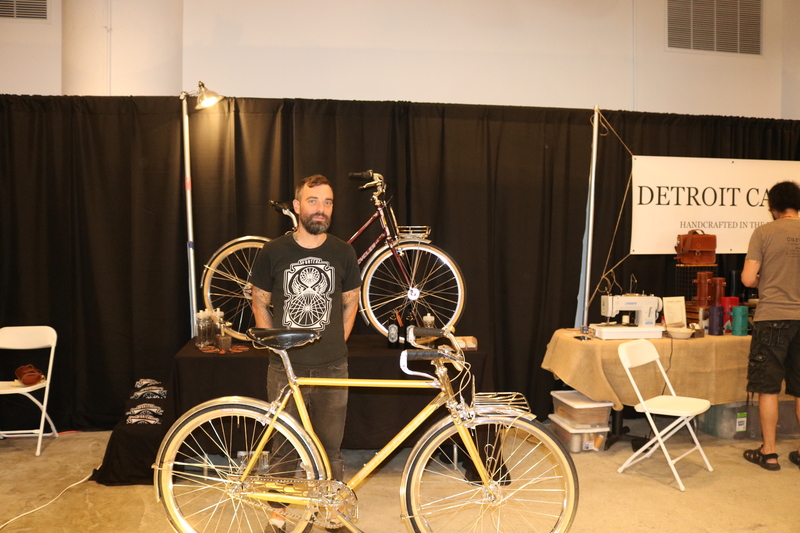 In any case, Doug’s bikes truly represent the elements of form and function coming together with a unmistakable sense of fashion. 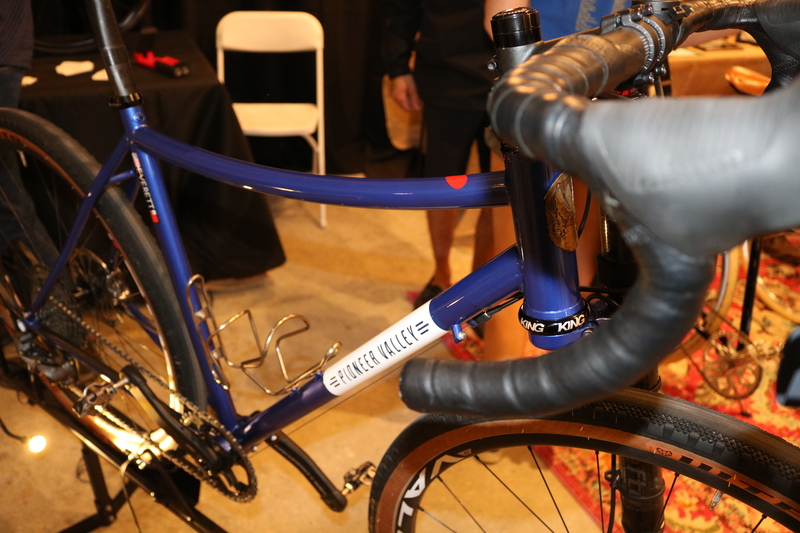 Other notable framebuilders in attendance included Firefly Bicycles and Royal H Cycles. 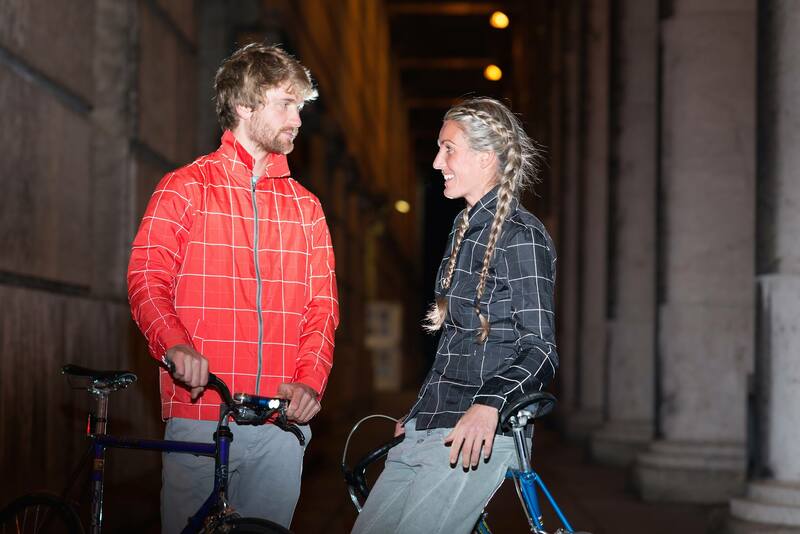 FireFly has gained a global recognition for its cutting-edge titanium and titanium/carbon matrix designs, which encompass virtually every category of bike, especially the ever-growing gravel/road plus segment. 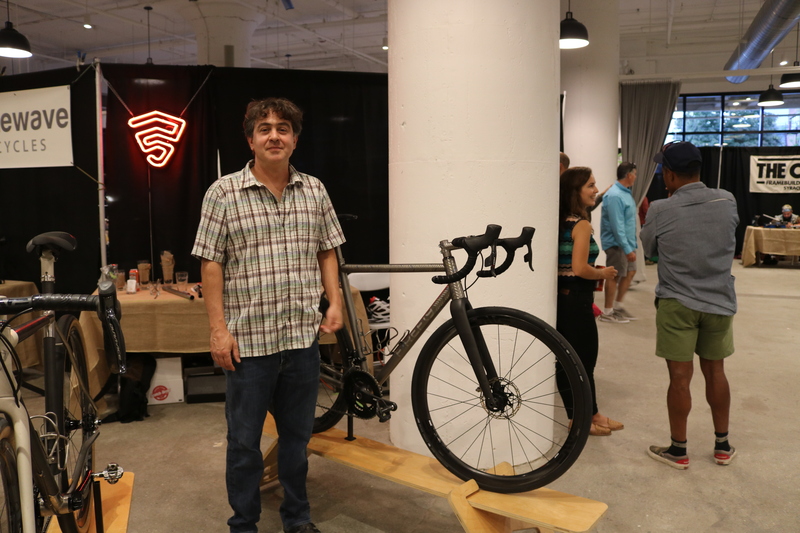 As of recent, the Boston-based company has expanded its technology to include the implementation of 3D-printing in the development of its bikes, which is rapidly becoming the next-generation of engineering. While high tech and innovation may come to define most bikes nowadays, Royal H makes a strong argument for tradition, offering bikes that pay homage to the old-word art of finely executed lug work and meticulously fillet-blazed joinery. Royal H’s founder, Bryan Hollingsworth, had one of his unfinished frames on display to show just how exquisite his fillet blazing is. And, exquisite it was! Not everything at the show comprised two-wheels however. 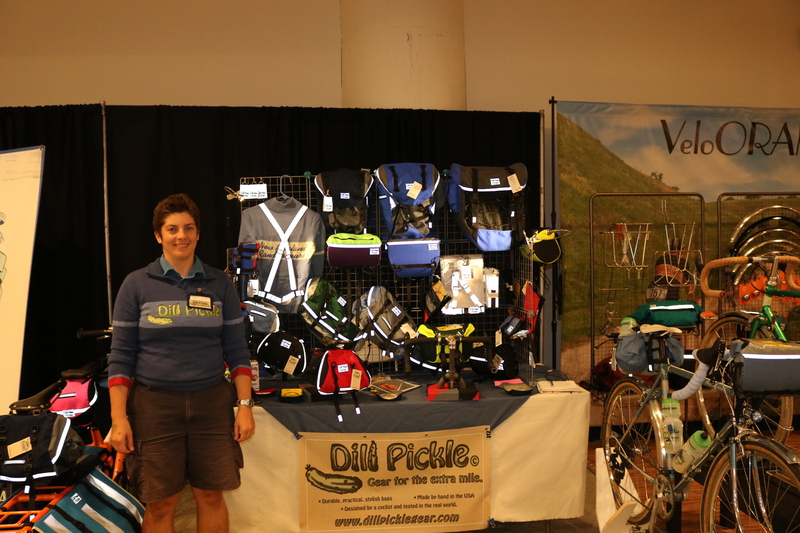 Emily O’Brien with her Dill Pickle brand, along with Dave Cain and his Vermont-based Waxwing Bag Co. and Eugene Sherill of Detroit Cargo, graced us with their exquisitely crafted bike bags, panniers, sacks and carrying accouterments. 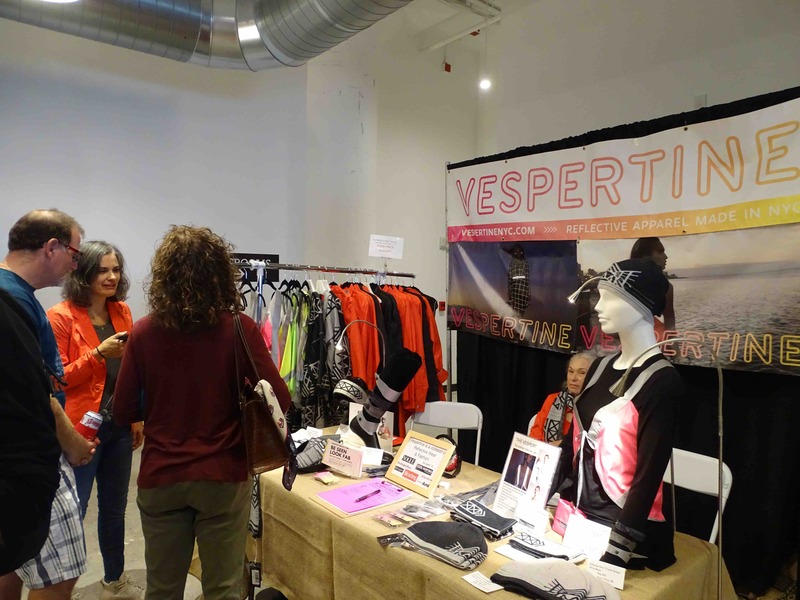 Additionally, Sarah Canner dazzled visitors with her Vespertine range of cycling apparel and haberdashery, bringing visibility, safety and style to cycling’s catwalk. The level of craftsmanship that goes into their products was so stunning that it lead me to believe that fairytale elves and wood nymphs were magically turning out these goods in an enchanted knoll somewhere. 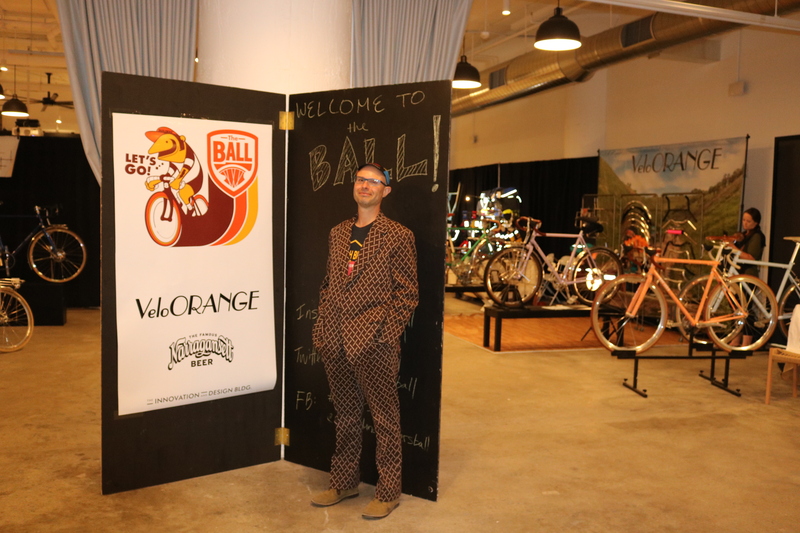 Of course none of this could be made possible without the vision, organizational skills and selfless determination of the New England Builders Ball’s founder and impresario Eric Weiss. I came to know Eric when I first attended the New England Builders Ball a few years ago. But, it’s only been during the last year that I’ve come to form a friendship with him. At the risk of sounding melodramatic, in all my years as a cycling enthusiast, I’ve met very few people who posses the level of dedication and willingness to make sacrifices in order to give cycling a voice, like Eric has. And, it’s a wonderful voice at that.